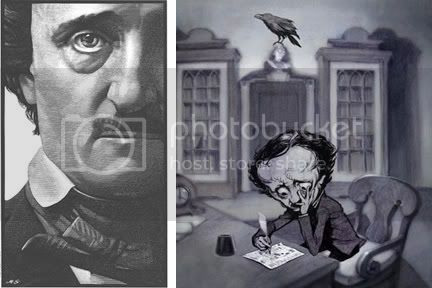 Michael also happened to write the book on Edgar Allan Poe portraits, so I'm sure he was thrilled to be given the commission to paint Poe for today's big birthday. Congrats, Michael! If you are ever in the same room with Michael, buy him a drink and ask him to tell you about the National Art's Club stolen Poe daguerreotype. It's a great story. The FBI was involved. Mark Summers on drawing Poe, and again. "He’s got one of those faces rich with distinct and fascinating features, but I’ve found that it all comes down to the eyes—the saddest, deepest eyes in literature." Adam Rex making funny with the Poe and writer's block, here, here, and here. Look, I lick a lot of people's artwork. You're really going to have to be more specific. 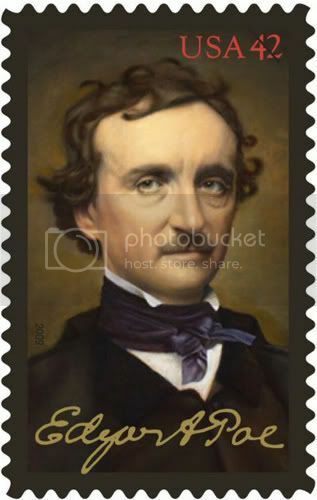 Poe was arguably the first modern SF author although his tales of horror and mystery have tended to overshadow his many other works. His biggest contribution to the genre was practically inventing the modern short story form. Poe pioneered the compact narrative that revolved around a single idea or "gimmick". , you will be able to different games. Girls get ready to make style statement with a pair of this Ugg Boots Rockstars. cheap ugg boots has brought for you this pair of studded boots to revamp your looks and appear stylish.